A multi-purpose high quality acrylic adhesive which forms a permanent water repellent layer after curing. 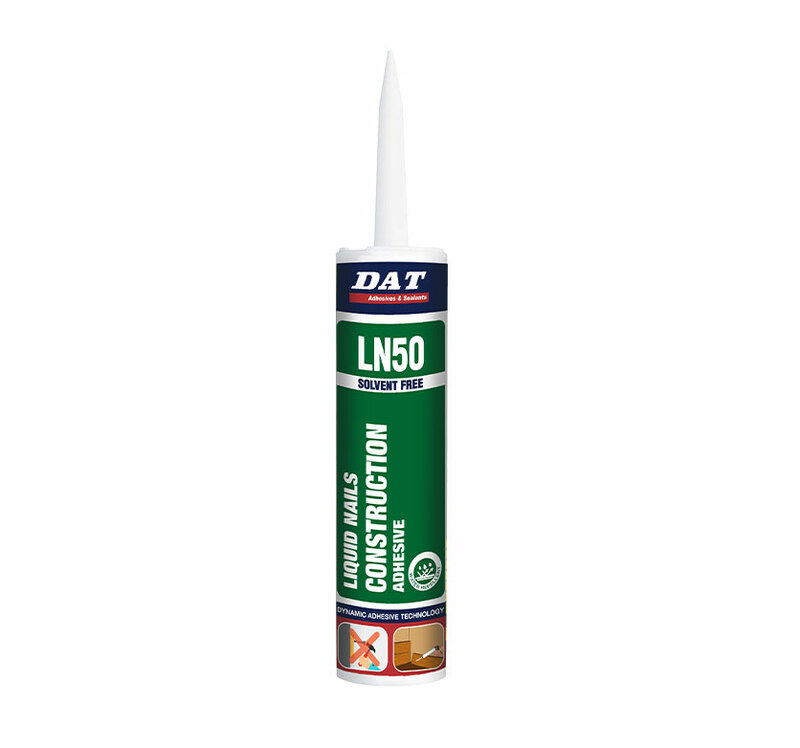 DAT Liquid Nail Adhesive LN50 is a high quality one-component acrylic adhesive which is paintable and forms a permanent water repellent layer after curing. 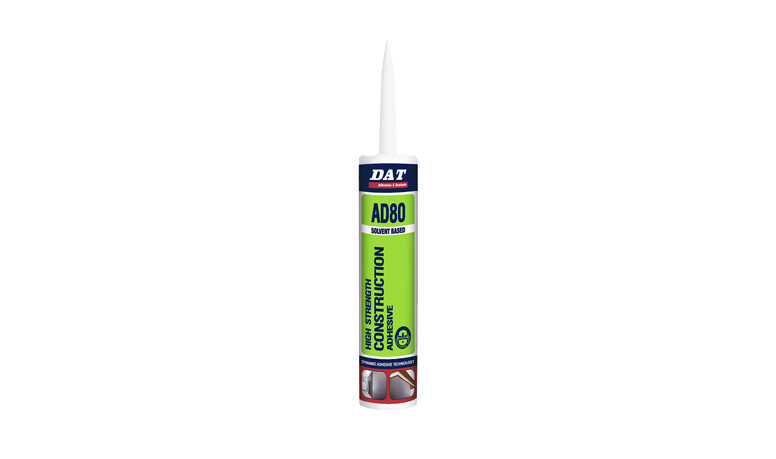 It is suitable for bonding a wide variety of substrates and is easy to apply with a caulking gun. 2. Cut off the tip of the cartridge to open the seal. 3. Screw the nozzle onto the cartridge and insert into the caulking gun. 6. Bond the substrates firmly together and wipe away any excess external product with a damp cloth. Clamp large or heavy objects for additional support until the adhesive is fully cured. 7. The adhesive will be fully cured within 24 – 48 hours.